iOS 12 builds off last year’s monumental UI change to the App Store. The App Store is a search engine and much like Google, it works better when it serves its users search needs better. Because of this, iOS 12 will have Customized Content. This feature will recommend apps to you within the Today tab based on your previous download data and history. We expect this to be mixed in with the current spotlights and apps of the day so as not to disrupt the exploratory nature of the app store and user experience. No longer can you (or should you ever have from an ASO perspective) write a simple “bug fixes” in your What’s New text. Apple will start to enforce that you actually describe any major changes made in your app. Apple has long flagged submissions that contained Unicode characters in their descriptions. We’re really excited to see if emojis will have a positive impact on conversion rates as they’ve been shown to do so in outside user acquisition tactics like social media advertising. Who doesn’t love a good 🤓? Apple understands that you may not visit the store daily but they still want to give meaningful featured app’s a lasting shot. Because of this, they developed a new section for highlighted features called “You May Have Missed”. Now you can always go back and get caught up on the most important updates you may have missed. Sneaky attempts to run hidden background processes while apps are in use will be shut down in iOS 12. This includes examples like cryptocurrency mining, running third-party ads and especially recording user activity without specific consent being given by the user. YOU get a free trial and YOU get a free trial! Free trials used to be limited to subscription model apps. Now any paid app can choose to offer users a free trial period as an in-app purchase before users make a purchase decision. To read more changes to the App Store’s Guidelines, visit Apple.com. 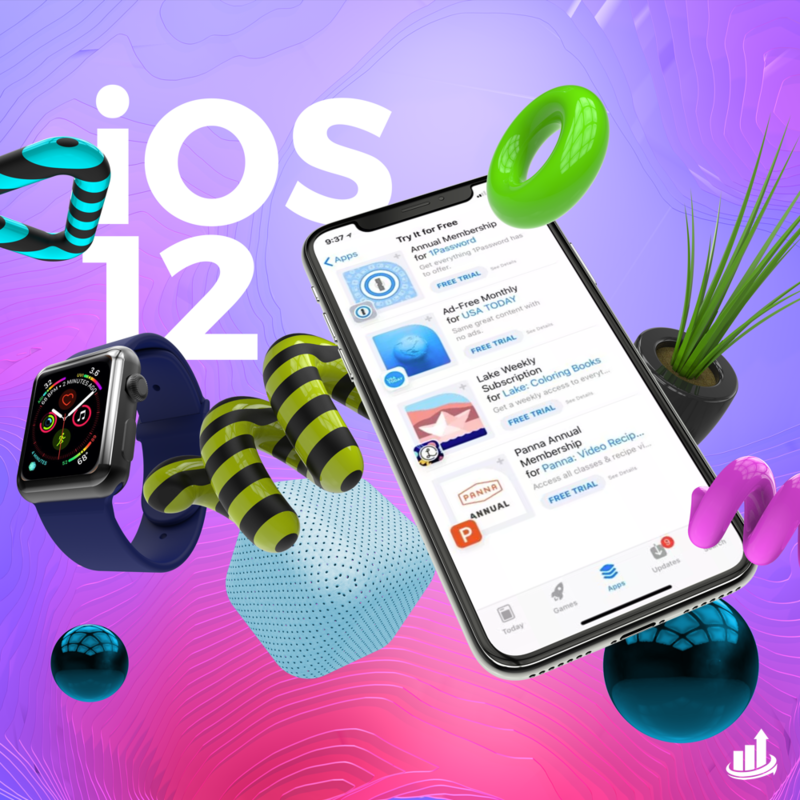 Are you ready for iOS 12? Get better ASO help today from one of our optimization pros!